FFA - MSNBC extreme bias continues as news anchor Mara Schiavocampo tells Israeli Ambassador Hamas rockets “rarely do damage” and Chris Matthews appreciates Hurricane Sandy for helping elect Obama. Most reputable companies do not advertise during sitcoms that disparage Christianity even though the content of sitcoms is not intended to be taken seriously. So why would these companies advertise on a news network, which is intended to be taken seriously, that routinely denigrates Christianity, distorts the truth and advocates for Islamists? 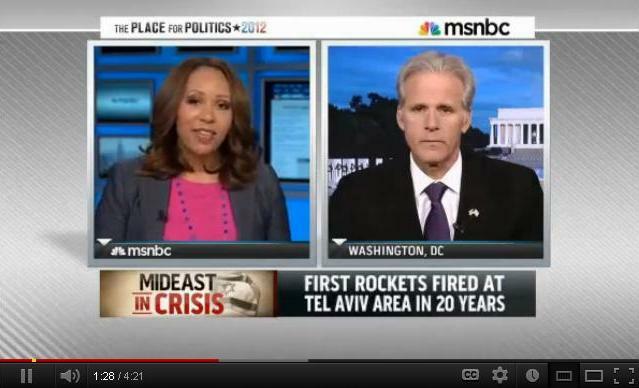 MSNBC news anchor Mara Schiavocampo asked Israeli Ambassador Michael Oren on November 17, 2012 “But what would you say to those who argue that the rockets are essentially very ineffective rarely do damage and that the response from Israeli’s is disproportionate to the threat that they are under?” Click here to see video. MSNBC news talk show host Chris Matthews said on November 7, 2012 “I’m so glad that we had that storm last week.” The facial expressions, body language and comments of other people on the set indicated distaste for Matthew’s comments. Click here to see video. If these were conservative media personalities they would have been terminated. But not so at MSNBC where extreme bias, dishonest reporting, Christian mocking and Islamist loving is status quo. NBC-MSNBC's dishonest, anti-Christian and pro-Islamist reporting. CHRIS MATTHEWS "One of the great ironies of American politics the group in this country that most resembles the Taliban IRONICALLY is the religious right." Any conservative media commentator would have been fired immediately if they had made this comparison regarding any leftist politically correct organization. October 2009. Click here to see Youtube.com video. 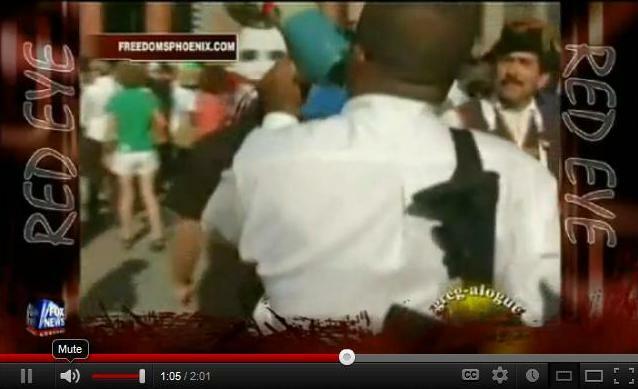 MSNBC edits video of a black man carrying gun to make healthcare protestors look like racists saying “white people are showing up with guns strapped to their waists.” MSNBC's Contessa Brewer filed a report on August 18, 2009 about healthcare protestors showing up to a rally armed. In it she used the video tape of the same black man shown in the above video with a rifle and said this “And the reason why we’re talking about this is because a lot of people feel like yes there are second amendment rights for sure but there are also issues about whether this has racial overtones. I mean here you have a man of color in the presidency and white people showing up with guns strapped to their waists.” MSNBC deliberately edited the video tape to hide the fact that the person carrying the gun was NOT white, but was BLACK. Fox News' Greg Gutfield concludes “So why did MSNBC go way out of its way to obliterate the race of Chris? Because it didn’t fit the story MSNBC wanted to tell, that if you disagree with Obama you must be a white crazy person with guns." Click here to see video of Greg Gutfield report. 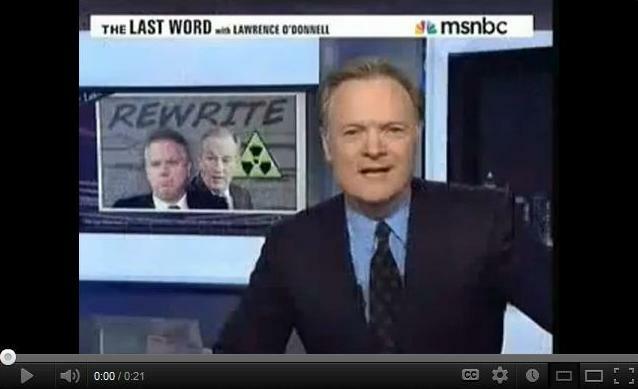 MSNBC Admits: ‘Unable to Verify’ False Limbaugh Quote; No Retraction or Apology. Newsbuster.org reported on October 16, 2009: During the 3:00PM ET hour of live coverage on MSNBC Friday, co-host David Shuster admitted that racially charged quotes he and other hosts attributed to Rush Limbaugh had not been verified: “MSNBC attributed that quote to a football player who was opposed to Limbaugh’s NFL bid. However, we have been unable to verify that quote independently. So, just to clarify.” Shuster did not formally retract the quote or apologize. Here are some Politifact reports on MSNBC hosts. MSNBC Ed Schultz "With his decision on whether to fire Gen. Stanley McChrystal, President Obama "has to fix yet another problem he inherited from the Bush administration." June 22, 2010. Politifact. 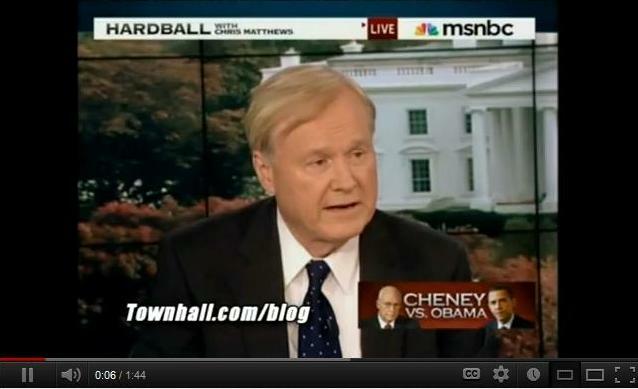 Rachel Maddow "President Bush never did one interview with the New York Times during his entire presidency." October 22, 2009. Politifact. Chris Matthews: Under Florida’s voting law, a requirement to turn in voter registrations within 48 hours "makes it impossible to meet the deadline if you’re working right to the end of the week." June 4, 2012. Politifact. Ed Schultz Under changes being debated, state employees in Wisconsin "who earn $30,000, $40,000, $50,000 a year might have 20 percent of their income just disappear overnight." February 15, 2011. Politifact. More of NBC-MSNBC's dishonest, anti-Christian and pro-Islamist reporting. MSNBC’s Keith Olbermann lies about Stop Islamization of America’s (SIOA) freedom rally against Islamic supremacist mega-mosque in New York City. June 2010. Pamela Geller’s video reports that Keith Olbermann falsely claimed that Rupert Murdoch’s Fox News and the New York Post promoted the SIOA event. Fox News did not report on the event. Olbermann said “Murdoch has been beating the drum of race hatred. Well Rupert got what he wanted 500 protestors.” Actually, 10,000 American patriots showed up for the event. 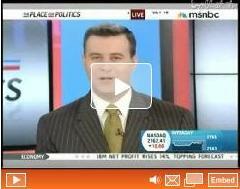 More MSNBC lies to defend Islamists. Click here to see Pamela Geller's video. Click here to read report at Jihadwatch.org. 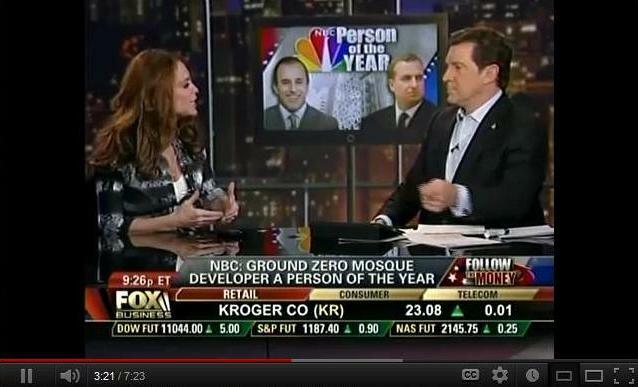 NBC names Ground Zero Mosque developer Sharif El-Gamal "Person of the Year". Punditpress.com reports: NBC and its affiliates have been trounced in ratings over the last several years. With stations like MSNBC under their belt and liberals such as Matt Lauer and Keith Olbermann hosting programs, NBC is clearly disconnected with the average American. Another clear sign of their mismanagement: naming Sharif El-Gamal, developer of the Ground Zero Mosque, one of their "People of the Year." November 2010. Click here to see Eric Bolling's report. 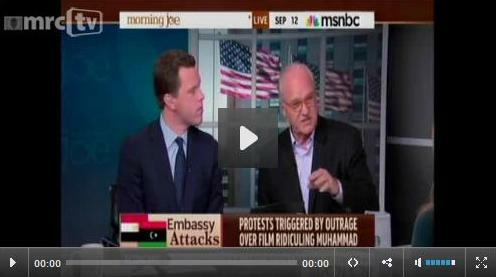 Click here to see Matt Lauer's interview of El-Gamal. Two MSNBC commentators, Mike Barnicle and Donny Deutsch, proclaim that the Department of Justice should consider prosecuting American pastor Terry Jones as an accessory to the U.S. ambassador's assassination in Libya. Mike Barnicle proposes that the United States Department of Justice consider prosecuting Florida pastor Terry Jones as an accessory in the death of the American ambassador to Libya Chris Stevens and deaths that occurred last year during riots in Afghanistan. These comments were made during MSNBC’s September 12, 2012 Morning Joe show. MIKE BARNICLE: Given this supposed minister's role in last year's riots in Afghanistan, where people died, and given his apparent or his alleged role in this film, where, not yet nailed down, but at least one American, perhaps the American ambassador is dead, it might be time for the Department of Justice to start viewing his role as an accessory before or after the fact. 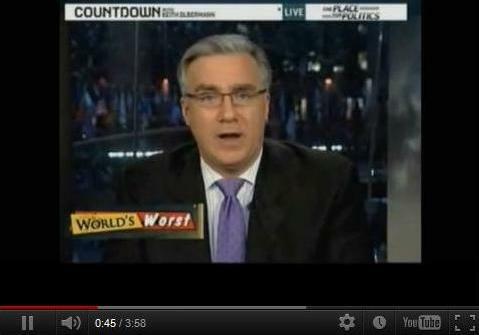 DONNY DEUTSCH: I was thinking the same thing, yeah. Click here to see video at Theblaze.com. MSNBC pundit Mona Eltahawy vandalized Pamela Geller's Pro-israel Ads in NYC subway. The New York Post reports: An Egyptian-born activist was arrested yesterday for spray-painting subway billboards that call enemies of Israel “savages” — amid a wave of vandalism unleashed on the inflammatory ads, which have divided the city. Mona Eltahawy, a self-described “liberal Muslim,” strolled up to one of the signs at the crowded 1/2/3 train mezzanine at the Times Square station and sprayed pink paint on the ads. Mona Eltahawy is a pundit who frequently appears on MSNBC and CNN. MSNBC dropped conservative Christian talk show host Pat Buchanan after critics falsley called his book "Suicide of a Superpower" racist, anti-Semitic, and homophobic. MSNBC dropped conservative commentator Pat Buchanan on February 17, 2012, four months after suspending him following the publication of his latest book. The book "Suicide of a Superpower" contained chapters titled "The End of White America" and "The Death of Christian America." 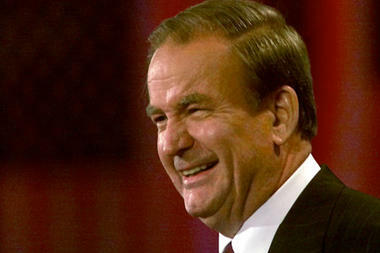 Critics called the book racist, anti-Semitic and homophobic, charges Buchanan denied. MSNBC President Phil Griffin exemplified their bias by saying that he didn't think Buchanan's book "should be part of the national dialogue, much less part of the dialogue on MSNBC." Buchanan called the decision "an undeniable victory for the blacklisters." Click here to read report at CSMonitor.com. 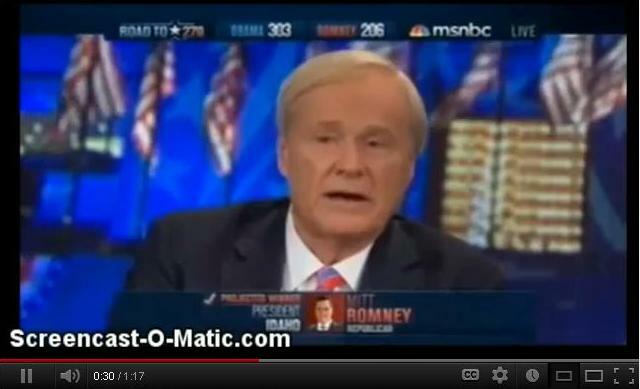 MSNBC falsely transcribed video tape to lie about and mock Mitt Romney. Morning Joe, co-host Mika Brzezinski said “Today’s New York Times is reporting that aids to Mitt Romney say the Republican candidate and running mate Paul Ryan will be campaigning together more often in the coming weeks. According to the report the move underscores concerns that Mr. Romney is not generating enough excitement on his own and needs Mr. Ryan to fire up supporters. That may have been evident during a campaign stop yesterday outside of Dayton.” The video tape rolled and MSNBC transcribed the words of the crowd cheering “Ryan, RyanRyan” at the bottom of the video when in fact the crowd can clearly be heard cheering “Romney, Romney, Romney.” Click here to see Youtube.com report. The MSNBC hosts then laugh at Romney under the false pretense they created of the crowd ignoring Romney by chanting Ryan, Ryan. Florida Family Association has sent out four email alerts since October 2, 2012 which asked supporters to take note of and send emails to encourage one hundred ten (110) companies to stop supporting MSNBC’s dishonest, anti-Christian, pro-Islamist reporting with their consumer dollars. GOOD NEWS! Fifty eight (58) of these targeted companies did NOT advertise during the most recent monitoring of Andrea Mitchell, Christ Matthews Hardball (both airings), The Ed Show and Rachel Maddow. That does not mean that all fifty eight companies have stopped advertising altogether. However, based upon Florida Family Association’s twenty four years of evaluating monitoring results it is clear that this is a very good start. Many of these companies will NOT return to MSNBC. Given the plan to keep this issue alive for many months, MSNBC could lose a substantial amount of advertising support for their decision to take an anti-Christian, Christian mocking, Islamist coddling and dishonest program philosophy. Ninety-seven percent (97%) of Florida Family Association supporters voted Yes in a September 2012 poll to support a long-term campaign to urge companies to stop advertising on MSNBC. Florida Family Association is committed long term to urging advertisers to stop supporting MSNBC’s shameful, dishonest, anti-Christian and pro-Islamist reporting with our consumer dollars. The overwhelming majority of the 3,600 advertisers that Florida Family Association has communicated with during the past twenty four years do not advertise during sitcoms that disparage Christianity even though the content of sitcoms is not intended to be taken seriously. So why would these companies advertise on a news network, which is intended to be taken seriously, that routinely denigrates Christianity, distorts the truth and advocates for Islamists? Florida Family Association is committed long term to urging advertisers to stop supporting MSNBC’s shameful, dishonest, anti-Christian and pro-Islamist reporting with our consumer dollars. REPEAT ADVERTISERS. The following firty four (54) companies advertised again during MSNBC's Andrea Mitchell, Chris Matthews, Rachel Maddow and/or The Ed Show: AARP, AAG - American Advisor's Group, Abbott Laboratories (Androgel, Ensure, Isitlowt.com), Alliedhomemedical.com, Allstate, American Express, American Petroleum Institute, America's Natural Gas Alliance, Ameriprise, Angie's List, AstraZeneca Pharmaceuticals LP (Crestor, Prilosec), BASF, Bayer HealthCare AG (Aleve, Alka-Seltzer, Bayer, One a Day), BMW, BP, Campbell's (Chunky Soup, Progresso Soup, Capella University, Capital One, Cashcall.com, Chattem (Acttotalcare, Act Mouthwash, Capzasin, Icy Hot Patch, Gold Bond, Pamprin, Selson Blue), Chrysler (Dodge Dart II, Jeep, Ram), CSX, Darden (Red Lobster), Dell, Empiretoday.com, Exxon Mobil, Fedex Office, Geico, General Motors Company (Buick Lacrosse, Cadillac, Chevy Mablibu - Silverado Volt), Hisamitsu Pharmaceutical (Salon PAS), HP, Humana, Korean Air, JP Morgan Chase (Chase Card), Land Rover (Range Rover), Liberty Mutual, Eli Lilly (Axiron, Cialis), Mazda, McGladrey, Men's Warehouse, Mercedes Benz, Merck (Shingles Awareness), Nestle USA (Purina, Stouffers), Nissan North America (Infiniti, Nissan), Pfizer (Enbrel, Spiriva, Pfizer, Thermacare, Viagra), Procter & Gamble Company (Dawn, Downy, Duracell. Febreze, Mr. Clean, Olay, Oral B, Secret,zzzquil)), Prudential, Quten Research Institute (Qunol), Select Comfort Corporation (Sleep Number), TD Ameritrade Holding Corporation, Toyota Motor Sales, U.S.A., Inc. (Lexus), Volkswagen, Volvo S6OT5 and Vonage. NEW ADVERTISERS. The following twenty six (26) companies advertised for the first time during Florida Family Association’s monitoring of MSNBC's Andrea Mitchell, Chris Matthews, Rachel Maddow and/or The Ed Show: 1&1 Internet Inc., Acorn Stairlifts Inc., Ally Bank, BASF, Beiersdorf (Eucerin), Binder & Binder, Blue Cross (Flbluemedicare.com), Brother International Corporation (Brother Printers), Citigroup (Citi Card), Comfort Medical, Fuji film Sonosite.com, Honda, Kayak, Legalzoom, Match, Medical Direct Club, Novartis Pharmaceuticals (GasX), Novo Nordist (Myflexpen.com), Orgreenic.com, Palm Bay International (Cavit Wine), Payanywhere.com, Positec (Rockwell Sonicrafter, Jawsaw.com), Principal Financial Group, Rosetta Stone, Ruth's Chris Steakhouse, Securefamily.com, Select Quote, Smart Balance, Staples, Sunovion Pharmaceuticals (Projectluna.com), Temperpedic, United Healthcare, UPS, Vista Print, Wal Greens, Web.com, Zales. There are more advertisers for this alert because the monitoring period was doubled. The names of the companies that stopped advertising because of controversial issues like this one will not be reported in a prominent or public manner because intense scrutiny by opponents could cause advertisers to reverse their decision. However, anyone who keeps track of the companies reported in each email alert could figure out which companies stopped advertising. Florida Family Association has prepared an email for you to send urging the above companies to stop supporting MSNBC’s dishonest, anti-Christian and pro-Islamist reporting with their advertising dollars, which in effect are your consumer dollars. With the click of one button you can send the prepared email, edited as you prefer, to all 188 officials at the 80 companies listed above. The action email for this campaign has been deactivated.